Looking for truly unique gifts this year? We have the best gifts at Curds and Wine -- Holiday Special Winemaking Gift Certificates, tickets to our January Cheesemaking Fundamentals classes , or a variety of wine and cheese accessories. We also have some very special Holiday combination discounts (available in-store only). We also have all the supplies you need to make some homemade cheeses to give as gifts, such as chevre, fromage blanc, feta, or ricotta salata. 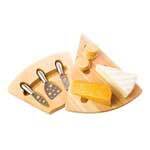 We also have some lovely cheese boards, cheese lyres, and cheese tools that make a nice compliment to your homemade cheese gifts. Or, if you have homemade wine to give as gifts, add a recycled, plantable gift tag to personalize it! Please note: Curds and Wine will close early on December 23rd at 2 pm! These classes sell out fast! If you would like to check for an opening or to be put on the waiting list for this class, call the shop or contact us. In association with San Diego Amateur Winemakers' Society, Curds and Wine will be hosting bi-monthly home winemakers' seminars. These seminars are held every even numbered month on the third Saturday at 1 pm. Seminars are given by Lum Eisenman, a winemaking guru that we are lucky to have in the San Diego area. Lum will share his expertise on various winemaking techniques and issues. 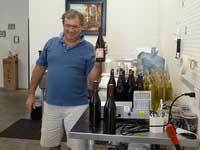 This month Lum will discuss Wine Filtration and Bottling. Want to give the best gift this year? Give the gift of winemaking! We have some very special Winemaking Gift Certificates available only until December 23, 2012. All of these Holiday Special Gift Certificates include making wine on site at Curds and Wine, corks, personalized labels, shrink caps, and new bottles. Each package also includes one wine kit from specified categories that the recipient can choose themselves when they come in to make their wine! Holiday Special Gift Certificates can be purchased in the shop or online. If you order online you will be sent a pdf by email with a designated gift certificate code; this code can only be used once. Please indicate name of gift giver and recipient to be printed on the gift certificate. Please let us know if you would prefer to have a printed gift certificate sent to you by mail. 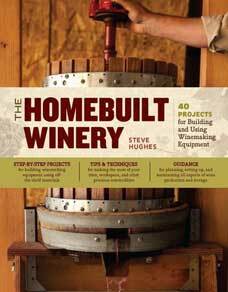 "The Homebuilt Winery" by Steve Hughes is a great holiday gift for the winemaker do-it-yourselfer. Steve includes projects that are easy for anyone to do at home, whether you have your own home woodshop or not. He opens with a brief discussion of wine processing and basic home winery issues, then dives in to construction of all of the equipment you'll ever need for your own home winery. Instructions are easy to follow and well detailed, with many fun and interesting projects. Get your copy today from Curds and Wine! Curds and Wine is a sponsor of the 2013 conference, and if you will be attending please let us know, we have a special gift for you! You can register online now -- register early and save $100 off of the registration fee before March 1, 2013. Every conference has sold out so far, so don't miss your opportunity! It's also time to start thinking about your entries for the 2013 Winemaker Magazine International Amateur Wine Competition! 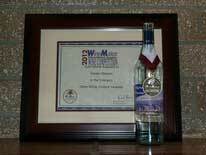 In 2012 over 4,000 wines were entered -- we won a Gold Medal for our Cellar Craft Gruner Veltliner! A very prestigious event, entering your wines is a great way to get feedback from top judges. And, if you are attending the conference, you might get to hear your name called out at the awards ceremony! Remember - Curds and Wine will close early at 2 pm on Sunday December 23rd. Have a very safe and Happy Holiday Season!